The future of Dubai is on the roads, with smart taxis soon set to be motoring along them with ease (and without an actual driver). Dubai’s first autonomous taxi is ready to be introduced onto the city’s roads, according to the vehicle’s developer DG World in conjunction with Dubai Silicon Oasis. The Dubai-based developer has said trials on the smart cab have proven successful and the technology of the vehicle has passed safety requirements, according to Gulf News. 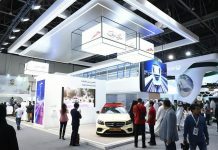 First launched by RTA and showcased at Gitex last year, the vehicle can drive up to 35km per hour and can fit four riders – including a standby driver – in the cabin. The driver’s service can be called in when the vehicle experiences a potential technical glitch by pressing a button, which shifts the operation from autonomous driving to the human driving mode. 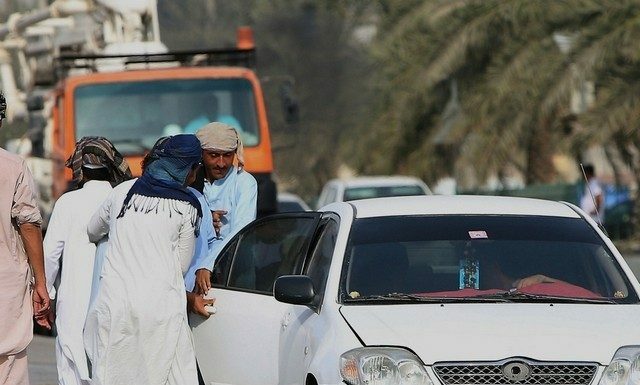 Ahmed Bahrozyan of the RTA said: “The vehicle features high safety and security standards. “It can remotely scan and figure out the surroundings, such as light signals and the four sides of the track through a GPS system. The announcement was made during the launch of the second UAE AI Camp, which will teach 10,000 students across the country all about autonomous technology. It’s all in line with the Dubai Government’s strategy to convert 25 percent of total journeys in Dubai into autonomous transit by 2030. Along with the smart cab, we can see strives in this initiative already, as RTA announced last year that Dubai was ready for flying taxis, which would be operated by an AI system.